The project being considered at the rail road station parking lot is not a parking garage. The parking garage is incidental to the overall project. Prior to explain further the concept being considered let me state my opinion regarding the future of Point Pleasant Beach. 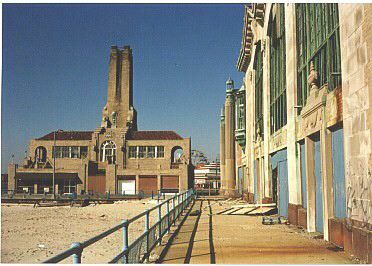 We must act now to implement a new image for Point Pleasant Beach, one which creates a community which remains tourist friendly while increasing the desirability for families to come visit and stay for the extended season as well as the summer. Adding cultural and education components to our community would allow us to market and draw on a much different demographic customer. A customer who would come and stay visit and patronize our downtown while enjoying our newly developed cultural and educational attractions. The railroad station parking lot was first envisioned as the home to the New Jersey Antique Auto Museum. This is a nonprofit organization that would have a facility which displayed various vintage and classic autos spanning various years, changing them from time to time. Around these vehicles schools are invited to attend events which incorporate the history of the cars on display with the events which were taking place around the world at the time the vehicle was built. Other conceptual plans include a banquet facility along with retail stores along the outer perimeter of this Museum. It was the Museum and the potential loss of parking which led to the concept of a parking garage. What better way to serve the residents, the town, the Antrim School and the tourism industry than to create a centralized parking facility next to your downtown and in conjunction with our train station. 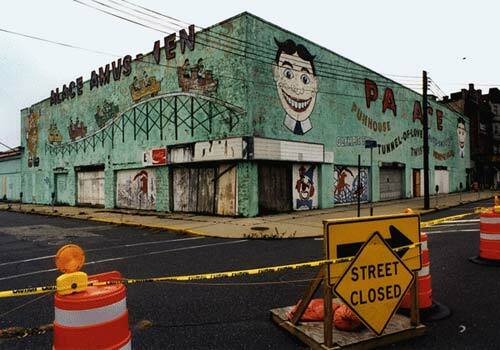 Point Pleasant Beach Must Invests In its FUTURE, or in my opinion the decay will continue and we may never have the opportunity to turn it around. I would propose a three hundred car parking garage on the site, alleviating the need for the Silver Lake Parking lot to be utilized fully and allowing for cultural and stimulating events to be held in our most desirable location. Couple the increase parking with increases in revenue investing in improving the Silver Lake area and adjacent park and decreasing our reliance on it as our main parking facility. Under Arnold Ave. are the original trolley tracks which existed 60 years ago, why not move into the future, less congestion, more mass transportation, green vehicle and projects which move us away from fully relying on the summer, the weather and the Boardwalk! You may not agree with the council’s decision in the past however do not let the past distract you from the future, this in my opinion and an opportunity which may never again be available to us. Send mail to info@njhoteltax.com with questions or comments about this web site.